NoteLedge for iPhone, developed by Kdan Mobile Software LTD, is just one of the many great Kdan iPhone apps we’ve reviewed this year. 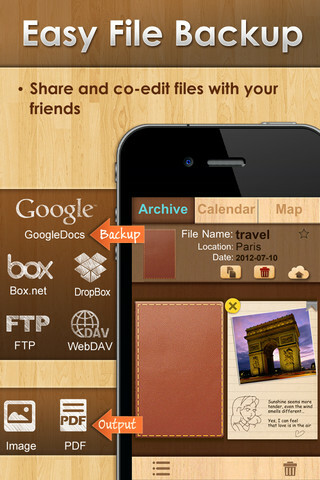 Prior to this, we’ve reviewed several great apps from these developers, includingPDF ConnoisseurandPocket Snapper. So how does the iPhone version of NoteLedge stack up? Pretty darn well, as it happens. 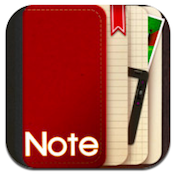 A full dollar cheaper than NoteLedge for iPad, the iPhone version of NoteLedge is a mite cramped, but other than that, it’s hard to fault this equally robust NoteLedge offering. 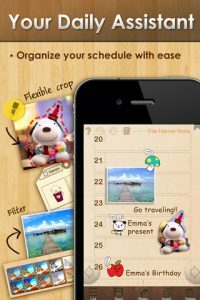 NoteLedge simultaneously supports handwriting, typing, image editing, audio and video recordings. There’s also an ability to utilize maps, as well as the ability to import files from Dropbox, Gdocs, box.net, WebDAV, or FTP. There aren’t many apps on the App Store that work equally as well for business purposes as for personal purposes, but NoteLedge for iPhone is definitely one of them. You can use it to organize your scheduled meetings for the week, or just doodle on your porch some sunny afternoon. In addition to responsive drawing and handwriting controls, NoteLedge for iPhone sets itself apart from the competition with the ability to take notes and record audio files simultaneously, making it a great tool for client meetings or classroom notetaking. The long and short of it is this: Kdan’s knocked it out of the park again. We’ve reviewed a lot of apps from Kdan in the past year, and they’ve set the bar very high every time. With a great, intuitive design and a robust array of features, NoteLedge for iPhone is nearly as good as NoteLedge for iPad, and is a great note-taking tool that you simply must try. 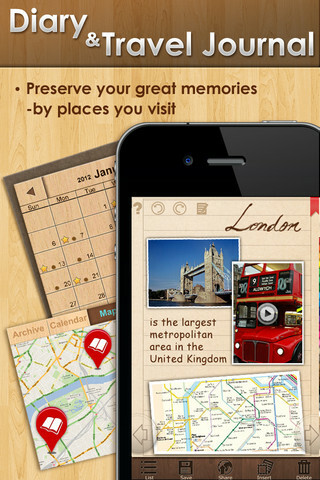 Despite feeling a bit cramped at times, NoteLedge for iPhone is another great Kdan success. 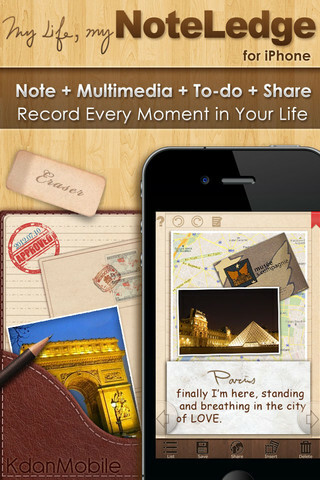 NoteLedge for iPhoneis compatible with iPhone, iPod touch, and iPad. Requires iOS 4.0 or later. A small expedite fee was paid by the developer to speed up the publication of this iPhone app review.